In the United States, every 13 minutes an emergency room is treating a sports-related eye injury. More than 100,000 eye injuries in the United States are estimated to occur every year with ninety percent of these injuries being deemed avoidable with the use of protective eyewear. Who Is At Risk For Sports-Related Eye Injuries? Anyone who plays sports is at risk for a sports-related eye injury if the proper precautions are not taken. Here is a ranking of High- to Low-Risk sports. High-Risk: Paintball, basketball and racquetball. Moderate-Risk: Tennis, soccer and golf. Low-risk: Sports that do not involve high-speed balls, swinging clubs or a bat, or close aggressive play. This also includes swimming and cycling. Safe: Sports that are deemed safe include track and field and gymnastics. Protective eyewear is made of a material called polycarbonate. This is an ultra-strong material that is 10 times more impact resistant than other plastics and does not reduce vision. It is important that all athletes wear protective eyewear, not just those who wear eyeglasses or contact lenses on a daily basis. For those who do need extra assistance through a prescriptive lens, most protective eyewear can be matched to individual prescriptions. 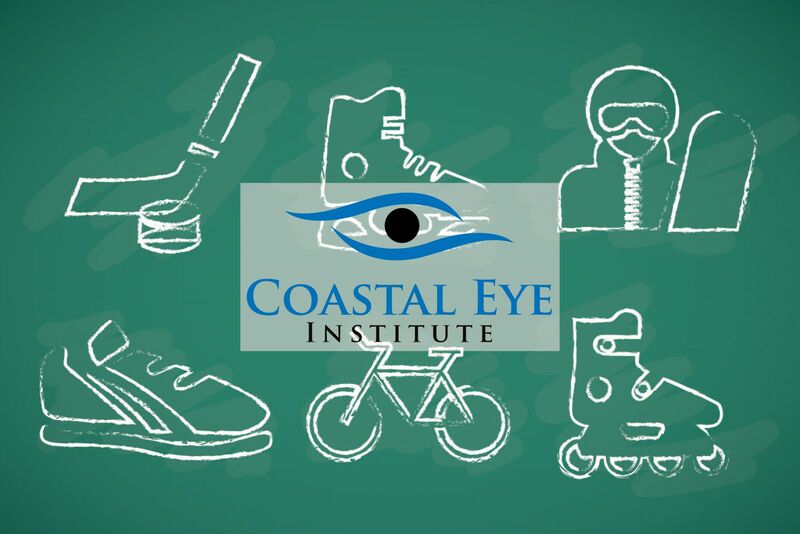 If you or your child receives a sports related eye injury, it is important to seek immediate medical attention. Contact us today to make an appointment an appointment with one of our 11 board-certified ophthalmologists.